The Philadelphia area has over 200 miles of commuter rail lines. The Berwyn Station in 1976. This is in the western suburbs of Philadelphia. The Paoli Local (R5) runs here, also there are Amtrak trains and freight trains that run on this four-track railroad. When I developed this article back in 1998, I was planning on eventually developing a far more comprehensive article; but other rail transit private websites have since then developed comprehensive articles, which follow. The Southeastern Pennsylvania Transportation Authority (SEPTA) provides train service over thirteen commuter rail lines in Philadelphia's northern and western suburbs (and to the airport). With the exception of the Airport Line, SEPTA’s commuter rail lines were all formerly operated by the Pennsylvania Railroad or the Reading Company. Prior to 1984, the former Pennsylvania lines converged at 30th Street Station, and continued to Suburban Station, which was their Center City terminal. The former Reading lines used Reading Terminal as their terminal. The Center City Commuter Tunnel connected the two systems in 1984, using a new section of tunnel and a new station (which replaced the Reading Terminal) beneath Center City. Most trains now use the tunnel to run from the Pennsylvania side through to the Reading side, which allows for greater efficiency. Philadelphia, Pennsylvania: Regional Rail - history and photos by Jon Bell. Philadelphia Transit Links and Jon Bell's (Mostly) Rail Transit Pages. 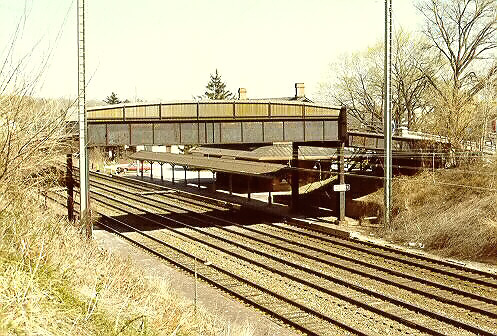 Philadelphia: Regional Rail Lines - history and photos by www.nycsubway.org. SEPTA (Southeastern Pennsylvania Transportation Authority) has a webpage with links to SEPTA Regional Rail Schedules. Each line has a page with the schedule and a map. SEPTA Railroad and Rail Transit Map.